Single-Wheel Ditchers - Page 1 | COSMECO S.r.l. Cosmeco manufactures a wide range of rotary single-wheel ditchers which can be used for digging or maintaining ditches and river banks. 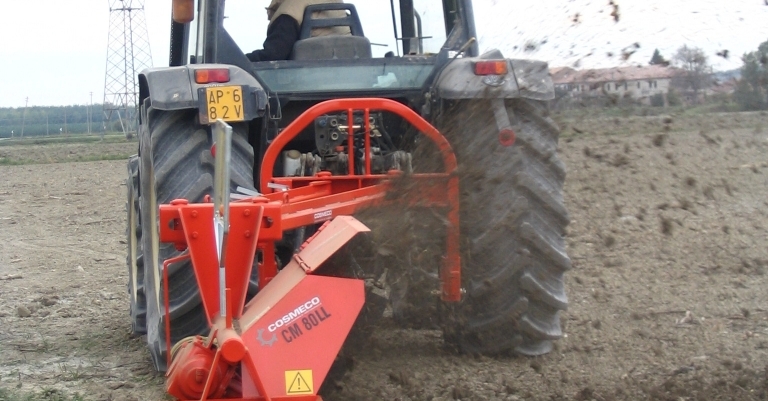 Cosmeco rotary ditchers are suitable for any type of soil thanks to the adjustable hood and low weight that allow their use even on tractors with low HP. Each ditcher can be connected both to a standard or caterpillar tractor. Please, select the model that best suits your needs.